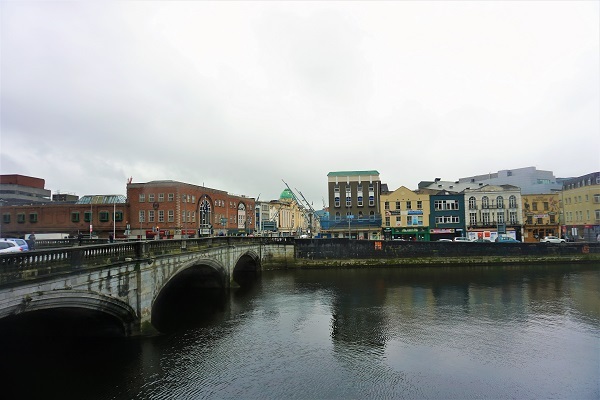 Prior to our Ireland and Iceland cruise on Celebrity Eclipse, we spent 6 days in Dublin. 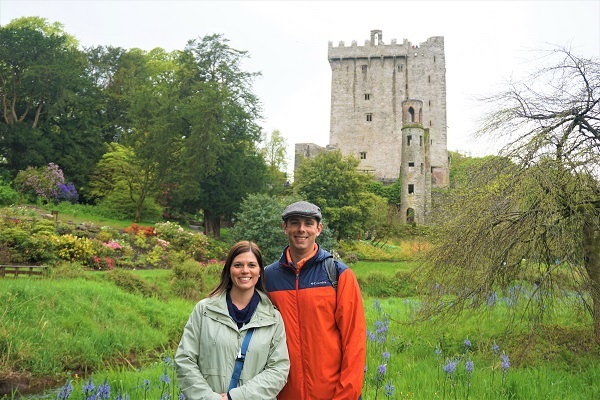 During our visit, we knew that we had to see one of the Emerald Isle’s most famous sites, the Blarney Castle. Renting a house in Dublin for the week, we had several options to make the trek southwest. Given that we were a group of 8 family members, we decided to book a day trip from Dublin through Extreme Ireland. 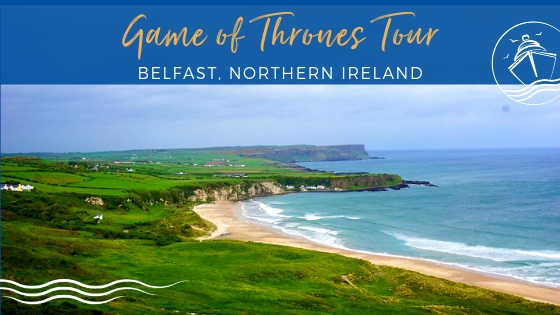 This 12-hour tour included three hours at the Castle, along with some additional stops at other well-known landmarks. 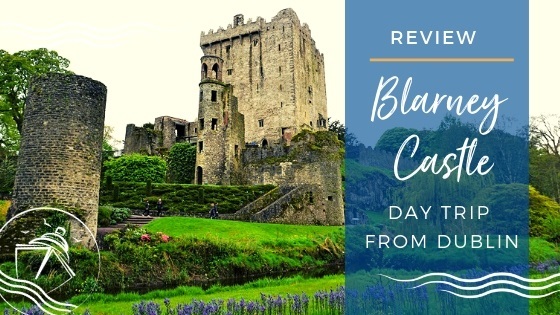 If you are looking to explore more of the Irish countryside, join us for our Blarney Castle Day Trip from Dublin Review. 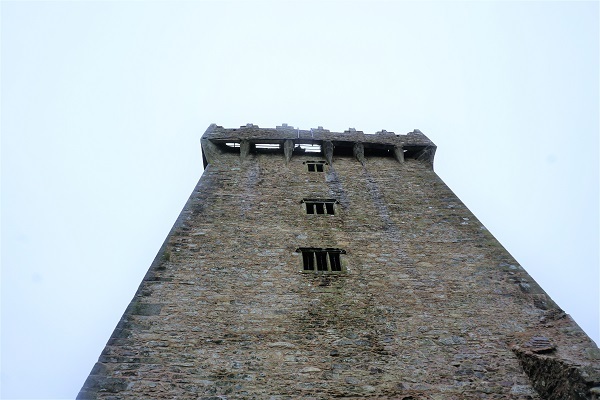 After reviewing our options to visit the Blarney Castle, we were certainly not going to rent vehicles to make the close to three-hour drive from our condo in Dublin to Cork County. 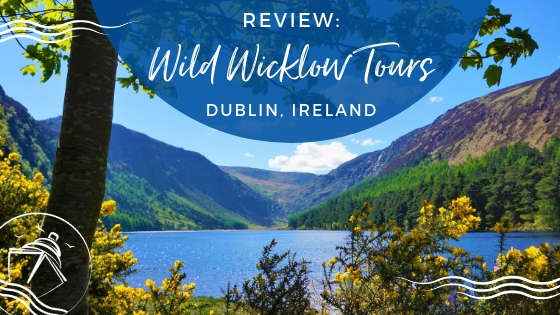 That is why we booked the Cork and Blarney Castle Day Trip from Dublin through Extreme Ireland. 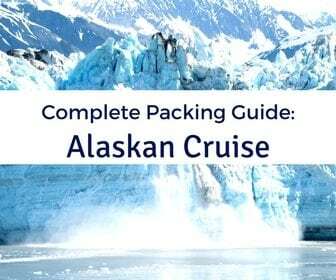 After making the reservation months in advance, we received an email a few weeks prior to the trip indicating that the itinerary had been changed. 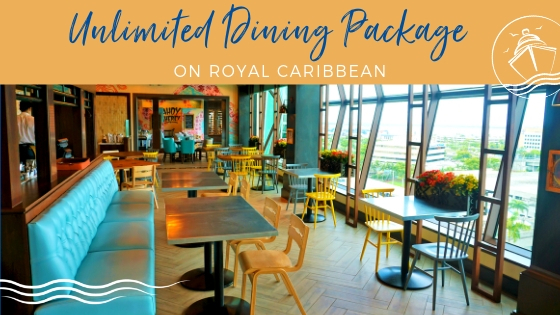 The day trip would no longer include any free time in the actual city of Cork. We were a bit disappointed at first. After completing the tour though, we have to admit that it was a rather long day, so squeezing in even more sightseeing would have been difficult. 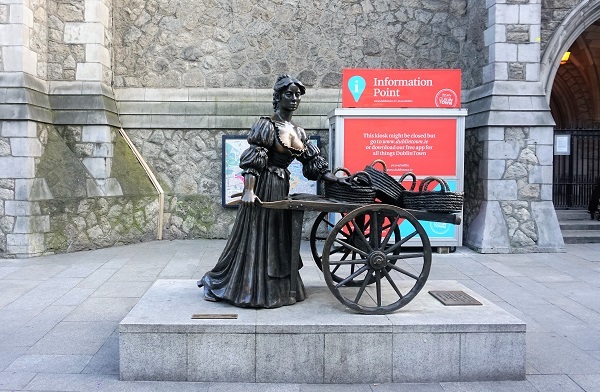 Like our other tours departing from Dublin, we were scheduled to meet at the Molly Malone statue with a departure time of 6:50 am. It’s a good thing that our rental was within walking distance of the statue. When we arrived, there were different providers filling buses for various tours. Before long, our Blarney Castle tour was called, and we were led down to the College Green area to board our bus. It was here that we were first introduced to our driver and guide for the day, Joey! We were used to this routine by now as this was our third and final day trip from Dublin. Boarding the bus, we could tell this driver was different though. He was more talkative and jovial than the previous drivers. There was just something about Joey that made us know we were in for a real treat! The tour bus departed Dublin around 7:10 am. 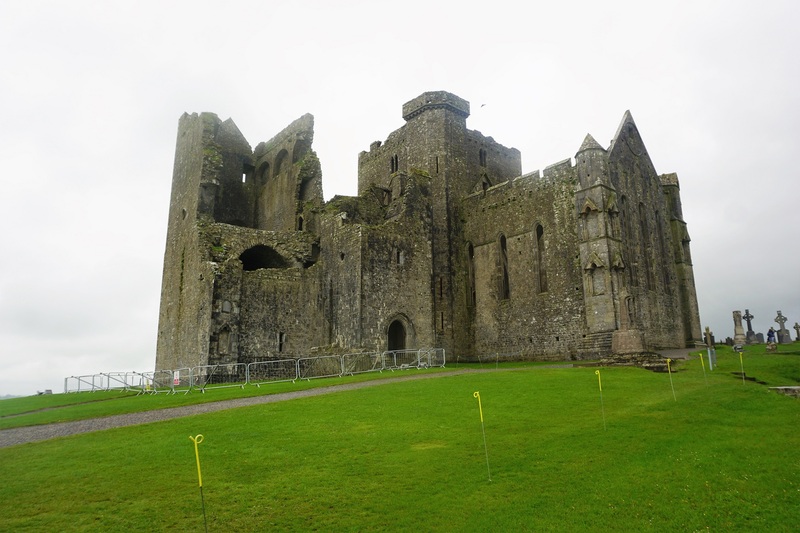 With a short bathroom and coffee break along the way, we arrived at our first stop, the Rock of Cashel, about 2.5 hours later. While we had gotten very lucky with the weather so far this trip, we could not escape the rain today. In fact, it rained quite heavily at times. 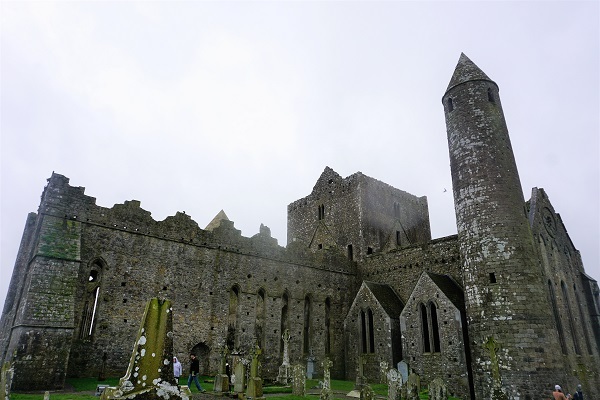 The Rock of Cashel’s history dates back to the 5th century where a local king was converted to Catholicism by St. Patrick himself. That is why this landmark is sometimes also referred to as St. Patrick’s Rock. Our tour bus parked in a small lot at the base of the castle. Our group then had to walk up a pretty steep incline to gain entrance into the historic remnants of the building. Unfortunately, there was no guided narration at this site. We were left on our own to explore the complex for about an hour. This gave us plenty of time to take pictures of the iconic sites including the round tower, Cormac’s Chapel, and the rolling green landscapes. Most of the current Rock’s remains date back to the 12th and 13th centuries. Leaving Cashel around 10:45 am, it was a 90-minute drive to the Blarney Castle. By the time we arrived, it was raining more steadily. Perfect, just the way we wanted to spend our three hour stop at the grounds. Given the popularity of this site, it was quite busy with other tour buses and visitors. 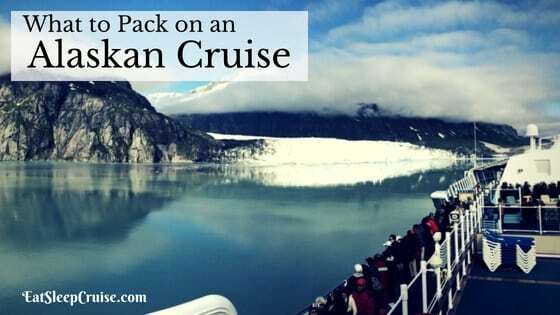 These travelers weren’t going to let the weather stop them. Honestly, the grounds are quite beautiful. 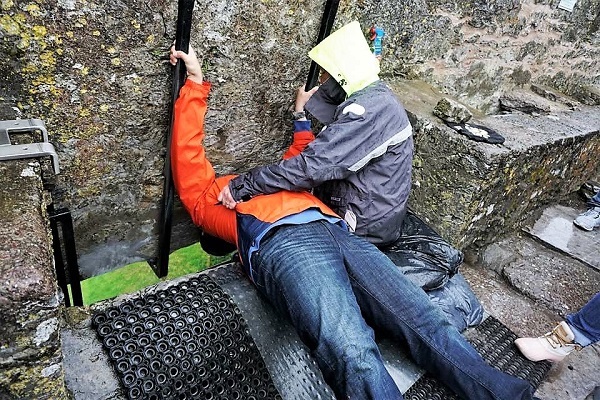 You could easily spend hours roaming the area, but for these Irish-Americans, kissing the Blarney Stone was on the top of our list. Given the crowds, we decided to check this item off our list first. There was a rather lengthy line that extended beyond the castle entrance way. A sign positioned several people ahead of us said it was an hour wait from that point! Luckily, it only took us about 50 minutes to scale to the top of the castle and kiss the stone. Be prepared to weather the elements. The spiral staircase to the top was a bit steep and slippery, but the pace of the line made it manageable for everyone in our group. Along the way, you can also see the remains of some rooms in the castle. The climate at the top of the castle felt much colder and windier. Still, we were all determined to “kiss” the stone. Luckily, we all succeeded. So, of course, it was a rather talkative ride back home! With the remaining two hours, we spent about 75 minutes strolling the grounds including the Poisonous Garden, trying to take as many pictures as possible during the lulls in rain. We also spent a good amount of time exploring Rock Close. The Wishing Steps are also located here. The story goes that if you walk to the bottom then return backwards up the steps with your eyes closed, your wish will be granted. In the current weather conditions, we opted to take pictures instead of testing our balance. This small forest-like area felt miles away from the more traditional gardens nearby. If we had more time and the weather were nicer, we could have easily walked more of the trails to explore the rest of the grounds. Instead, we decided to head back to the main entrance. A stop at such an iconic landmark would not be complete without a visit to the gift shop. With some time to spare, we also walked through a few of the stores at the Blarney Woolen Mills, where our bus was conveniently parked. We departed the Blarney Castle around 3:30 pm to make our way to the next stop. 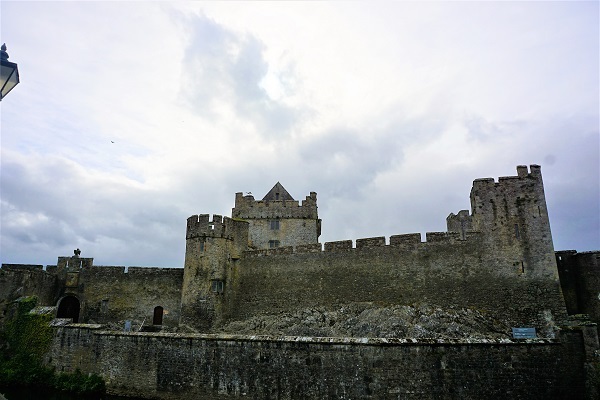 We had another hour plus drive to the third stop of the tour, the Cahir Castle. During this leg of the trip, Joey’s gift of gab continued. Joey was more than happy to spice up his tour narrations with personal stories, crazy jokes, Irish songs, and even moments of personal therapy. I somehow managed to be one of the only people that were able to nap through it. I guess Joey was too entertaining for the rest of the family to catch any shut eye. Arriving to Cahir Castle after 4:30 pm, it was a race against the clock as it was set to close at 5:30 pm. By this time, the weather had improved. Luckily, we arrived at the castle just in time for the last tour. Cahir Castle is a uniquely situated 13th-century castle. 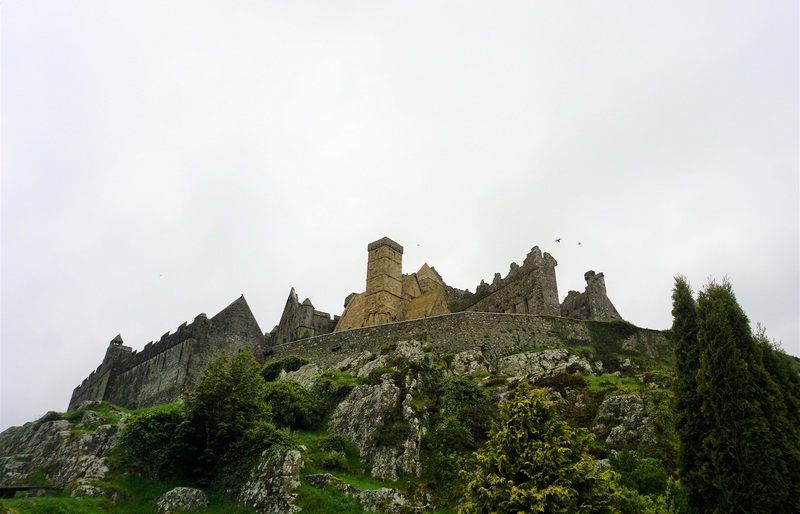 It is one of the largest and best-preserved castles in Ireland. Seeming to emerge from its rock base, the profile of this impressive building looks like something straight out of a medieval movie. It is no surprise that the castle has been featured in several films and television series, including the Tudors and the movie Excalibur. 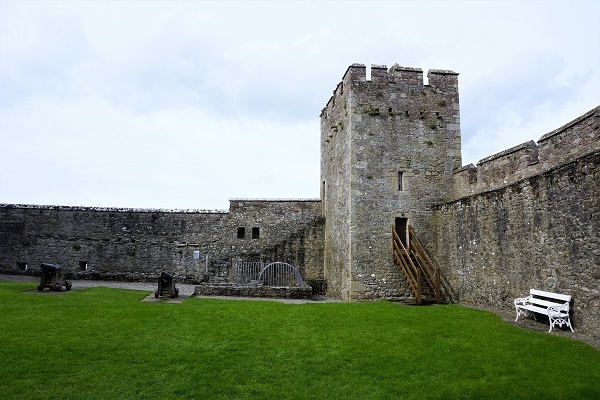 The 20 minute tour and narration gave us the history of the main building and the surrounding grounds, including the cannonball that is still embedded in the wall of the castle. Honestly, I wish some of the other sites that we visited included such an overview. We then had over a half hour to review some of the grounds on our own, but we were pretty much castled out at this point. Boarding the bus, it was another 90+ minutes back to Dublin. While I dozed on and off, Joey continued spinning tales and spent almost the entire time talking, singing, and having a grand old time! 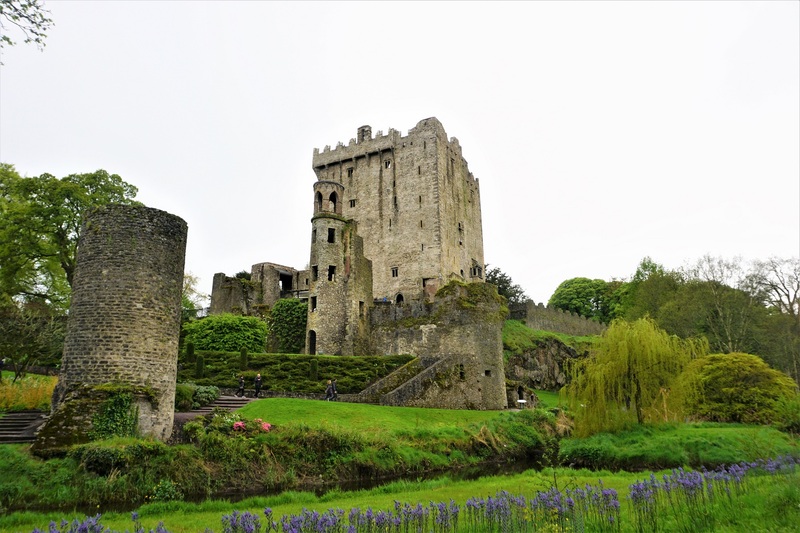 If you are looking to visit Blarney Castle and some of the country’s other popular castles, then this tour is for you. 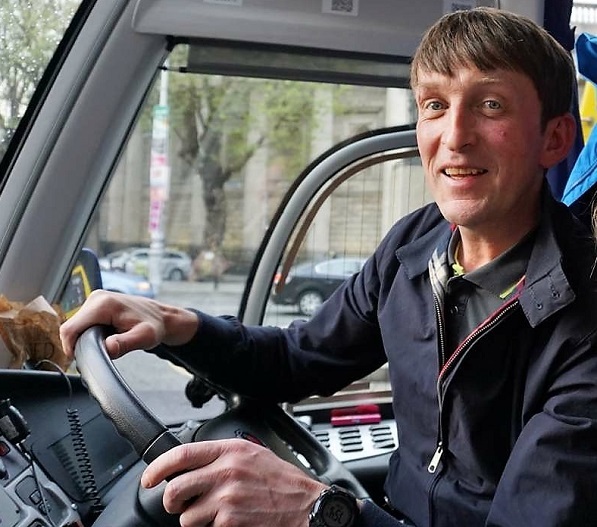 We would highly recommend the tour company Extreme Ireland and our guide Joey. 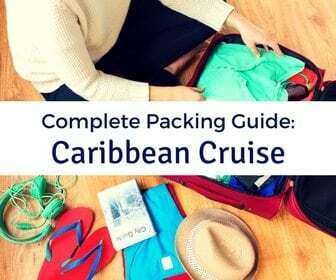 The booking process was simple, and the company offers competitive rates. 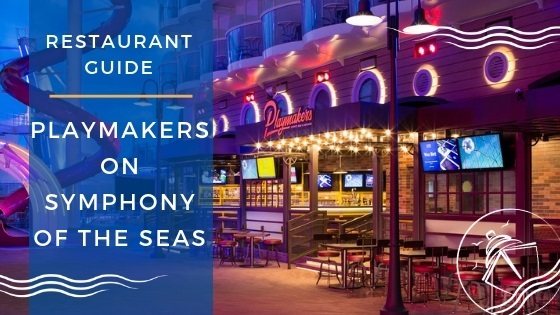 We believe an organized tour like this is really the best option for a group. 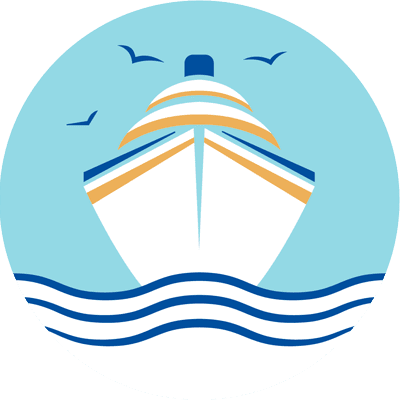 You can avoid the hassles of driving, especially in not so ideal weather conditions, and gain more in depth knowledge from those who call Ireland home. We really enjoyed our Blarney Castle Day Tour from Dublin. Our only wish was that the weather was better; however, Joey did his best to make this tour a memorable experience. If we return to Ireland in the future, we would definitely book with Extreme Ireland again. 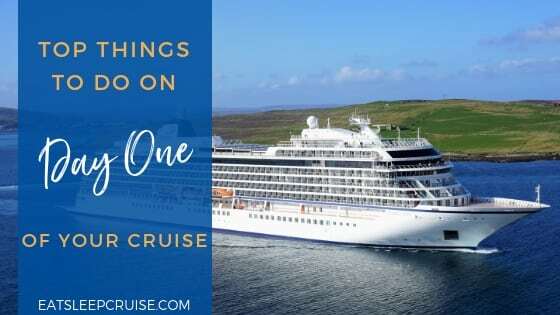 For travelers spending a few days in Dublin and looking for a convenient and informative tour, this is one of the best options. 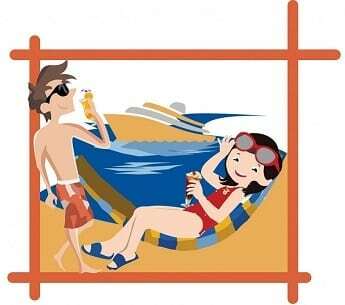 On a bus tour, you can sit back, relax, and take in all this beautiful country has to offer. 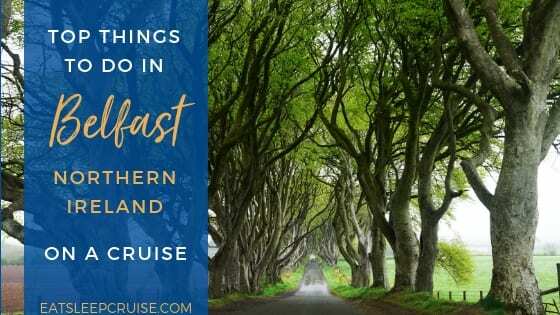 Have you visited Ireland? 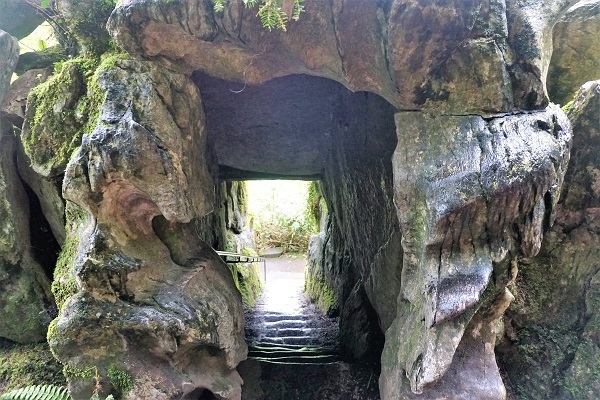 Have you taken a Blarney Castle Day Tour from Dublin? 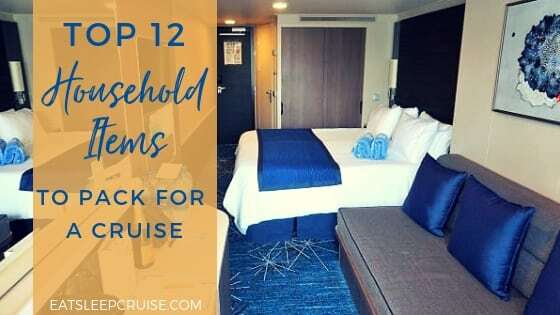 Drop us an anchor below with your review of this popular tour.